Curaçao was probably first inhabited some two thousand years ago. Curaçao was probably first inhabited some two thousand years ago. 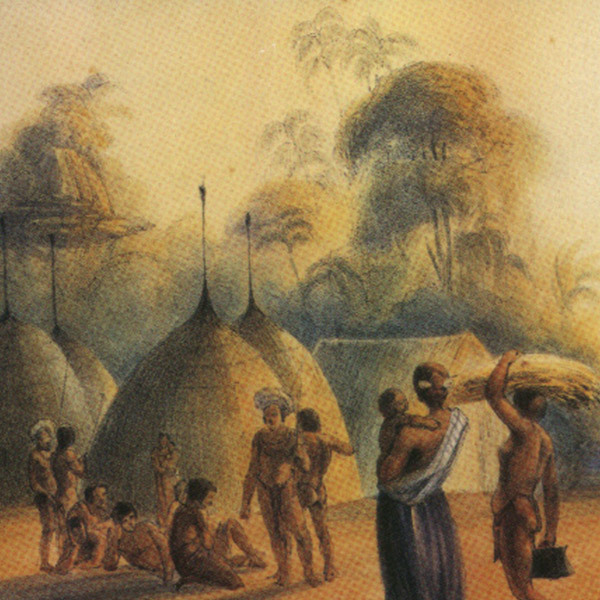 These original islanders, the Arawak Amerindians of the Caquetíos tribe, came over from the South American mainland. By the time the Spaniards arrived in 1499 there were an estimated 2,000 Indians on Curaçao. They formed several tribes, spread over fifteen villages. In 1515, the Spanish deported the Indians as slaves to other parts of South America. Since they found no gold on the island and farming was difficult, the Spaniards made little use of Curaçao and marked the island as a useless island. The Dutch West India Company (WIC) saw Curaçao as a potentially valuable base in the Caribbean. The Dutch West India Company (WIC) saw Curaçao as a potentially valuable base in the Caribbean. On July 29, 1634, the Dutch took over the island. There was little resistance because there were only 32 Spaniards on the island, of which ten were children. Along with most of the Indians, they were deported to the mainland. Under the WIC, Curaçao became a center of trade with a harbor open to all commerce, including private traders. The company also encouraged Dutch colonization. During the 1640's St. Anna Bay became the site of a harbor town called Willemstad. During the 1640’s St. Anna Bay became the site of a harbor town called Willemstad. The town grew considerably between 1676 and 1732, remaining practically unchanged until 1860. Willemstad’s harbor area formed a melting pot of cultures with seafarers from every corner of the globe gathering. Crews were paid off after each voyage. It was then up to the men to look after themselves until they could find a new ship. Many seamen lived on Curaçao, most of them were either slaves, freed slaves or mulattos. Curaçao also became the main base for Dutch privateers. The prosperity of the island owed much to these privateers. Moreover, they provided an essential protection against attacks by enemy privateers. Between 1670 and 1815 Curaçao was the center of the Dutch slave trade. Between 1670 and 1815 Curaçao was the center of the Dutch slave trade. Thousands of Africans were transported to the island and sold to work on the plantations of South America and other Caribbean islands. 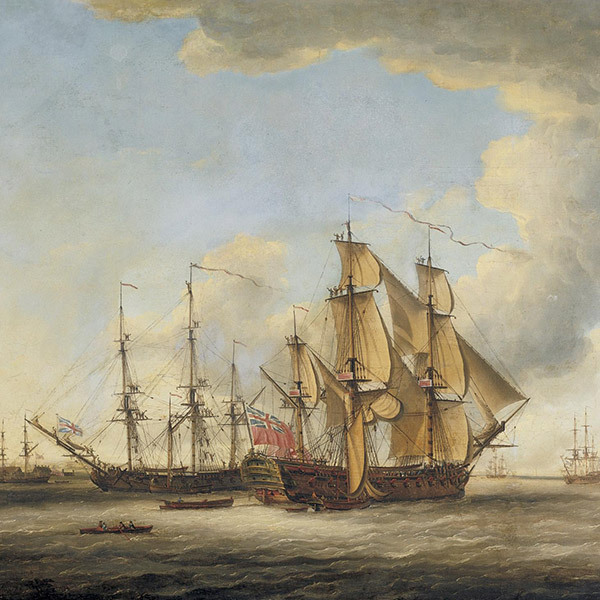 The Dutch West India Company had several bases on the West Coast of Africa. Fort Elmina, originally founded by the Portuguese, was the largest and the site of a major slave market. 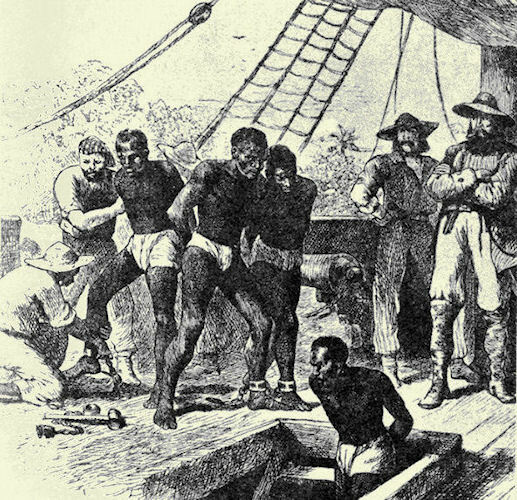 After 1730, the WIC left the slave trade increasingly to private slave traders. A lively illicit trade with the Spanish colonials on mainland South America developed in Curaçao. A lively illicit trade with the Spanish colonials on mainland South America developed in Curaçao. Spain’s colonies were isolated. Officially, they were only allowed to trade with Spaniards, but the links with the Spanish fleet were tenuous. Consequently, there was a constant shortage of slaves, European goods and customers for products. 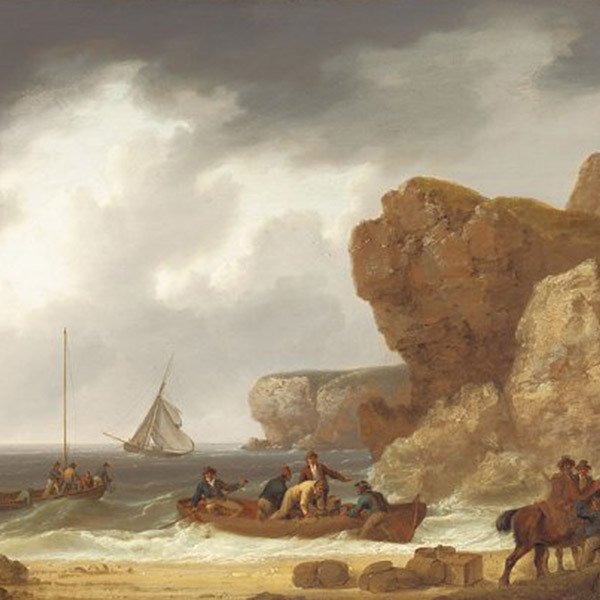 The illicit trade with the Dutch Republic was more than welcome. 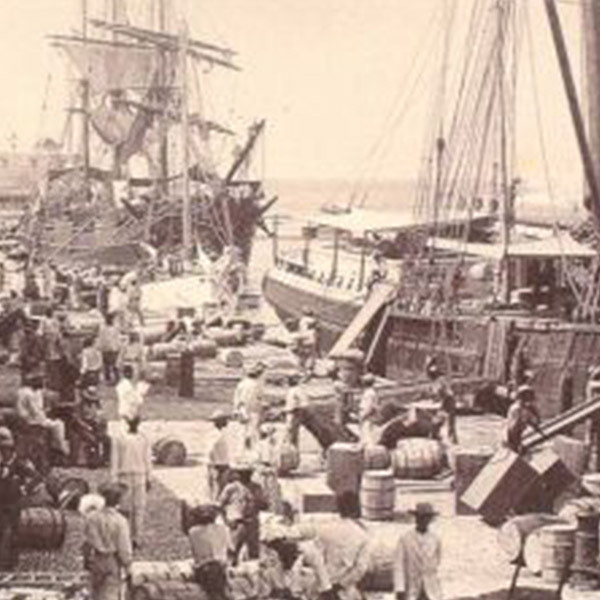 In the eighteenth century, the trade grew to such an extent that Venezuela became economically dependent on Curaçao. A situation that continued into the nineteenth century. Between 1650 and 1670, England was regularly at loggerheads with the Dutch. Between 1650 and 1670, England was regularly at loggerheads with the Dutch. Curaçao’s monopoly in the slave trade was especially irritating to the English. Once they had chased the Dutch out of New York in 1665, the English focused their attention on Curaçao. They commissioned privateers to do their dirty work. Towards the close of the eighteenth century, the French occupied the Dutch Republic in Europe. The French navy was soon using Curaçao as a harbor, and the island paid the cost. Moreover, the British, who were at war with France, blockaded the trade of the island. Curaçao was therefore keen to be rid of the French. The island government was even prepared to accept British dominion. From 1800 to 1803 and from 1807 to 1816 Curaçao was administered by the British. The Dutch regained the island in 1816. 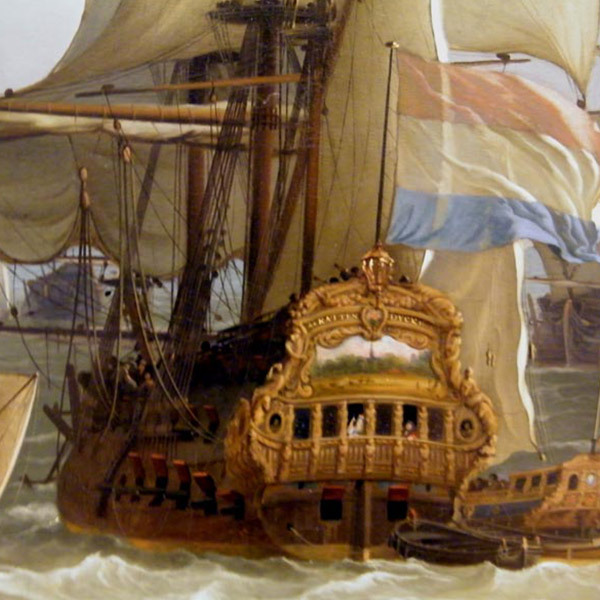 Meanwhile, the Dutch Republic had become the Kingdom of the Netherlands, with its own Royal Dutch Navy. In an attempt to attract trade, Willemstad was declared a free port, with no taxes or excise in 1827. Trade stagnated worldwide from 1800 to 1840. South America, where most of Curaçao’s goods were sold, was in the grip of independence wars. Willemstad harbor was suddenly lacking activity. In an attempt to attract trade, Willemstad was declared a free port, with no taxes or excise in 1827. The harbor’s fortunes gradually revived during the 1840s. Then the tide turned during the 1860s with trade and shipping increasing considerably. By 1900, Willemstad was a lively commercial center with thoroughly modern facilities. Shipbuilding flourished between 1840 and 1890, Curaçao’s shipbuilders were especially noted for their schooners. Their size and solid construction made these vessels ideal for ocean traffic to America and Europe. In the 1890s, Curaçao’s shipbuilders came under increasing pressure from the competition of Trinidad and Barbados. The main shipbuilders on Curaçao were J.A. Jessurun and S.E.L. Maduro. A regular packet service between Europe and Curaçao became available in the nineteenth century. A regular packet service between Europe and Curaçao became available in the nineteenth century. 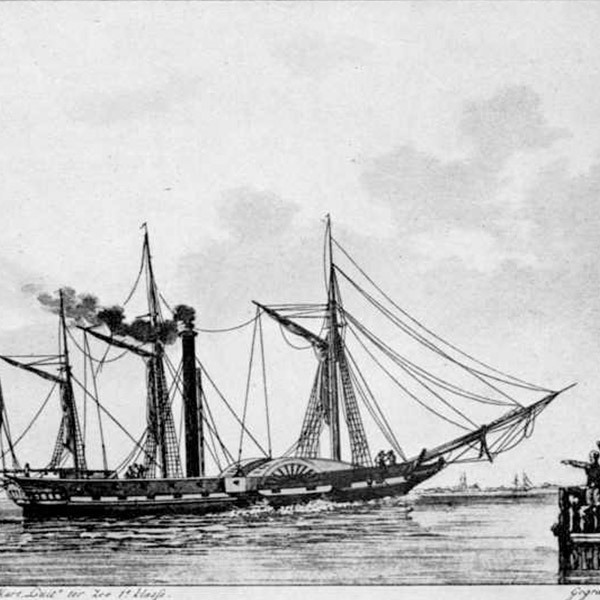 In 1827-1829, the paddle steamer “Curaçao” was introduced. It was something of a gamble, since steam was still in its infancy. Moreover, the Curaçao was a rather small vessel for ocean travel. The Curaçao was the first steamship to cross the Atlantic Ocean, even though it was a rather small vessel for ocean travel. It made the voyage in 28 days;, at the time sailing ships took forty days to cross. However, after three voyages, beset with problems, the experiment was dropped. In 1882, an Amsterdam, New York and Curaçao line was established. Connections with Curaçao improved dramatically with the island being the first port of call for many European ships crossing the Atlantic. 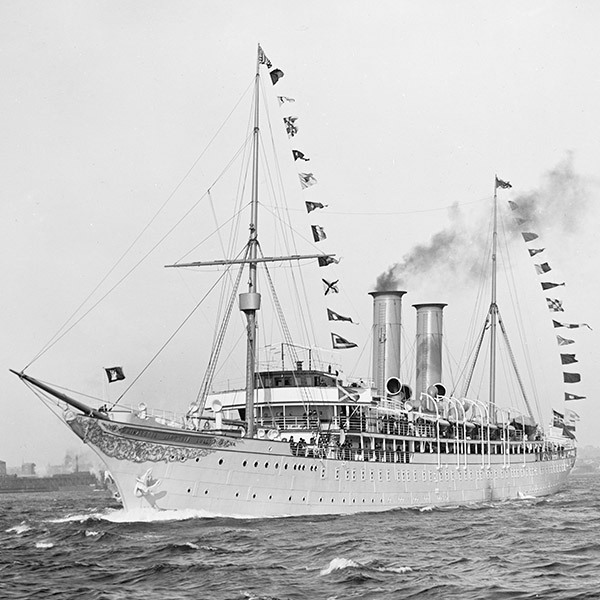 By 1910 around 25 steamers were entering the harbor each month on regular lines from seven different countries. By 1939, Curaçao was the world’s seventh busiest harbor, with the peak coming in 1952. In the years that followed the transit port function gradually declined. Around 1910 motorized ships started running increasingly on oil rather than coal. Curaçao was quick to take advantage of this, as a result between 1914 and 1930 Willemstad became a major fueling station in the Caribbean. In 1901 the first cruise ship arrived in Willemstad, Curaçao. In 1901 the first cruise ship arrived in Willemstad, Curaçao. It was the Prinzessin Victoria Luise from New York. With the attractive prices of the products in its shops, Curaçao developed into a popular destination for cruise ships. Not all the cruise ships moored in the harbor because the narrow entrance kept many vessels out, they simply anchored offshore. Oil was discovered at the Lake of Maracaibo in Venezuela on July 31, 1914. Oil was discovered at the Lake of Maracaibo in Venezuela on July 31, 1914. As a result of the island’s broad and deep natural harbor, the Royal Shell Oil Company choose Curaçao to build its refinery. Between 1918 and 1924 the refinery was built with its own wharves in Schottegat. Oil became the engine of Curaçao’s economy. In 1914, the Panama Canal opened, and Curaçao prepared itself for a flood of trade. However, the expectations did not materialize. It was the oil industry, rather than the Panama Canal that kept Curaçao’s economy afloat. During the Second World War, Curaçao’s oil industry flourished. The Allied forces in North Africa depended entirely on fuel known as ‘Navy Special’ supplied by the refineries on Curaçao and Aruba. Because of their strategic involvement the islands became military targets. In December 1941, the United States began reinforcing their position in the Caribbean. The Royal Dutch Navy and the Antillean forces were placed under command of the Americans, and American troops were stationed on Curaçao. The Americans were to remain on the island until 1947, when the Dutch administration returned. Since 1950, the defense of the Antilles has been entirely in the hands of the Royal Dutch Navy. The early 1980s saw a decline in demand for oil, as a result Shell made drastic cuts at the refinery. 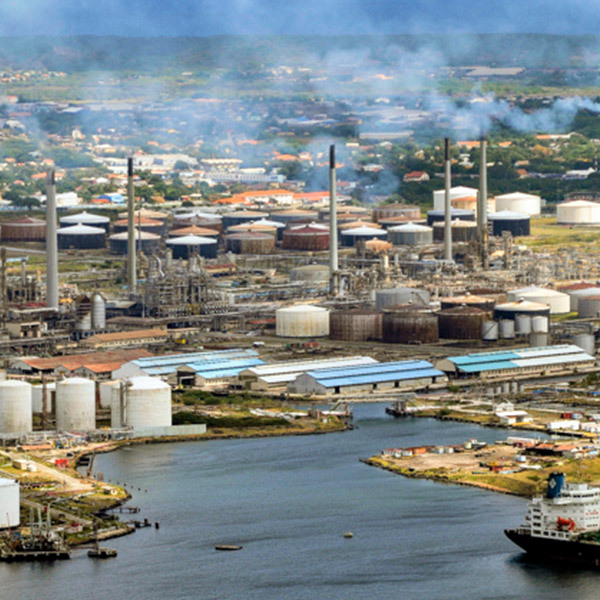 Finally, in 1985 the company sold the refinery for a nominal one guilder to Curaçao. Currently, the refinery is leased by Petroleos de Venezuela S.A. In 1926 the first dock was built in Willemstad: the floating dry dock Koningin Wilhelmina. In 1926 the first dock was built in Willemstad: the floating dry dock Koningin Wilhelmina. It was soon apparent that this was too small, and in 1929 capacity was doubled with the arrival of the Juliana Floating Dock. The Beatrix Dry Dock was excavated in 1941, it was needed to cope with the wartime demands for dock facilities. During the 1970s, the Curaçaose Dok Maatschappij (CDM) expanded its capacity hugely by building Antillia Dock, a facility capable of handling large ships of up to 130,000 ton. Work in the harbor was reorganized in 1960. A new company was set up for the purpose. 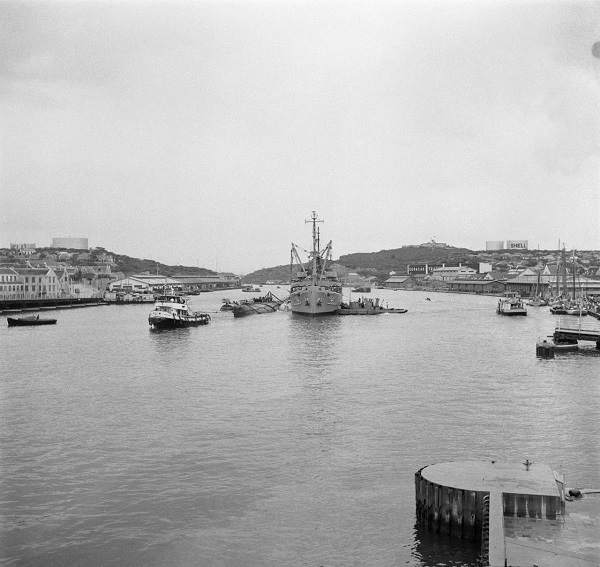 Work in the harbor was reorganized in 1960. A new company was set up for the purpose, which rented all the wharves and its facilities. Consequently, the organization operated more than 85 percent of the non-oil harbors in Willemstad. Government pressure eventually led to the merger in 1981 into the Curaçao Ports Authority (CPA). The immediate cause was the Curaçao government’s wish to achieve an efficient and reliable administration of all the harbors of the island, particularly of the new container terminal opened in 1984. 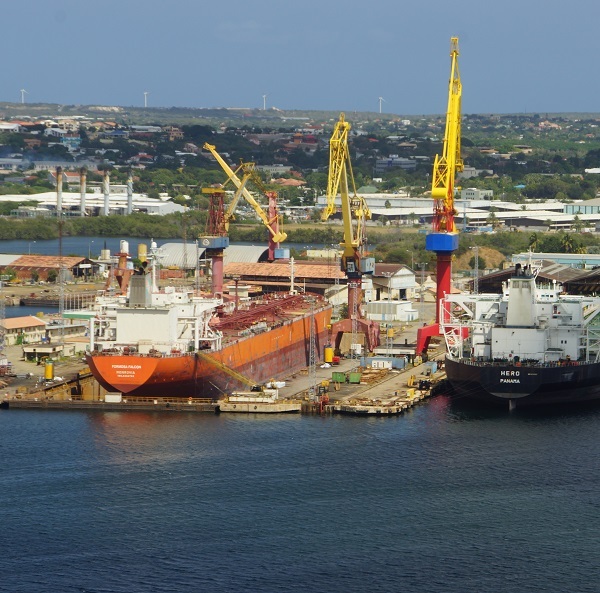 As a harbor organization, the Curaçao Ports Services (CPS) took on the principal tasks of stevedoring. Since 1981, the CPA, a limited liability company whose main shareholder is the island government of Curacao, has managed all of Curacao’s ports. CPA is the proprietor of the container and cruise terminals, most of the wharves and the properties adjacent to the harbor. Additionally, CPA is responsible for the commercial development of the ports and for overseas promotion. All harbor services are provided by ISO-certified companies. The Ports Authority, KTK Tugs, CPS, Dry-Dock Company (CDM) and the port agents are all registered ISO-certified service providers. 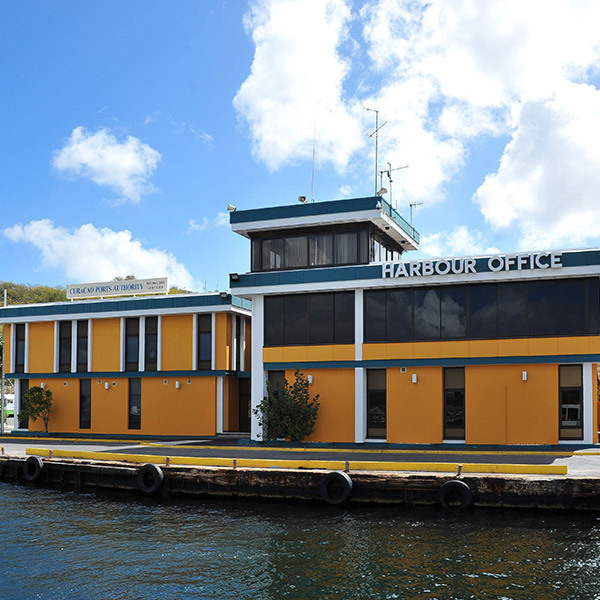 As of July 1, 2004, the port of Willemstad offers facilities in compliance with the International Ships & Port Facility Security (ISPS) Code of International Maritime Organization (IMO).